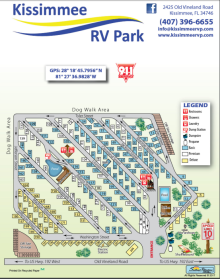 From the Atlantic to the Gulf coast, the finest Florida has to offer is in easy reach of your campsite at Kissimmee RV Park. Ask a member of our knowledgeable management team to help you plan your personal adventure. Take your family on a chartered fishing trip or a leap of faith at Fantasy of Flight. We’ll even help you arrange a quiet night of family or friends gathered for cookout and cocktails! 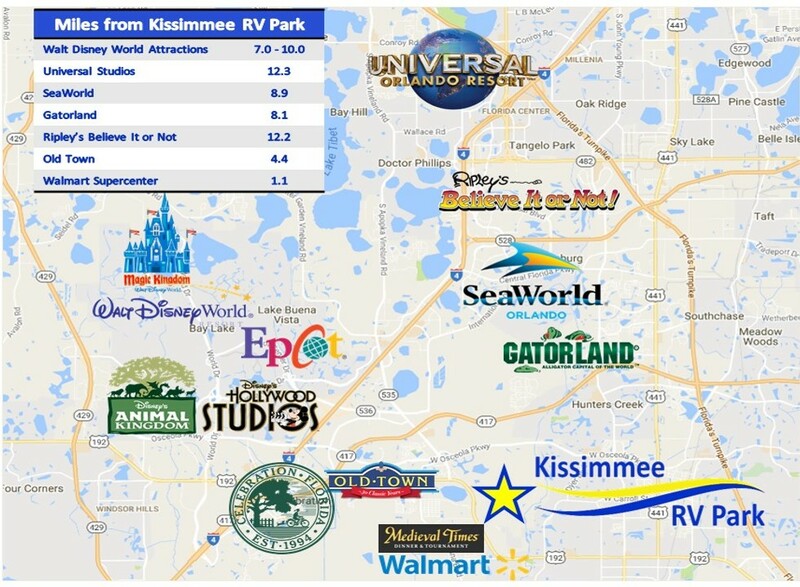 You’ll find Central Florida’s famous theme parks or attractions just a short drive from our driveway. Also nearby are great shopping, local and chain restaurants, and all the amenities of home. You may never need to go home again…not even to do your laundry! ONLY 6.5 miles from the limits of Disney World! Miniature golf, Dinner theaters, Restaurants for every taste and budget, indoor flea markets, shopping that includes almost every national chain and outlet malls.